Next time you find out that your safe is locked up with no way to get in. Do not risk the integrity of the unit or your safety. Contact Great Lakes Security Hardware instead. We’ll dispatch a Roseville lockout specialist to handle your emergency. They will get into your safe within minutes. Call us at 888-855-6257 or fill out our general information request form. https://greatlakessecurityhardware.com/wp-content/uploads/2018/12/locked-out-of-safe.jpg 491 1000 Denise Farley https://greatlakessecurityhardware.com/wp-content/uploads/2015/06/Security-and-hardware-solutions.png Denise Farley2018-12-13 02:31:362018-12-12 17:41:51Locked Out Of Your Safe? Great Lakes Security Hardware is one of the most experienced and reliable locksmiths and safe dealers in Roseville, Michigan. 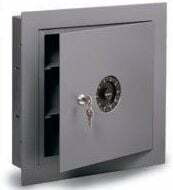 We offer a variety of Safes (Commercial & Residential) to suit your needs. Whether you want to protect the documents of your company records, the deed to your home, or jewelry, the best way to do it is using a reliable safe. We can provide you cash room safes, media safes, gun safes, wall safes, depository safes, and custom-built safes as well. We always advise our clients that they need to decide exactly what content it is they want to protect before they purchase a safe. In the past, many people believed that the bank security feature could protect their valuable items. They thought that a bank safe was the most preferred place to keep their precious stuff. Unfortunately, insurers do not insure your valuable item in a bank safe. Your home insurance policy or the renter covers your essential item locked in the safe. That’s why many experts advise that you have a safe in your house or commercial property. So, if you want to a residential or commercial safe, look no further than Great Lakes Security Hardware. We are ready to assist you to acquire the most suitable safe. Great Lakes Security Hardware offers a broad variety of safes (Commercial & Residential) with different levels of protection. You will never worry about the safety and protection of your precious belongings if you have installed a safe in your house or office. You can be sure that your documents, jewelry, or other items are safe even if there is fire outbreak. Furthermore, our residential and commercial locksmith services in Roseville, MI, also allows you to select from the highly secured safes. We promise you that we will install your safe in a place that is inconspicuous and people in your house can’t find it easily. You should install a safe in your home or office to keep your firearms away from others, particularly the kids. We will install the safe in a less accessible area to the children so that they cannot access it easily even if they find the number combination. Our locksmith services also include the installation of safe inside the concrete floor or bolting it into the floor. If you want to install a safe in your residential or commercial property in Michigan, please give us a call at 888-855-6257, or fill in our Contact Form and we will get back to you right away. Our staff will be happy to assist you to make the right choice.